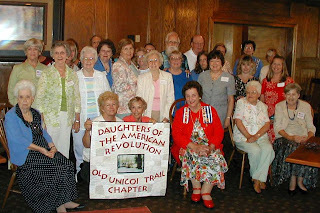 At the September 8, 2007, meeting of the Old Unicoi Trail Chapter of the Daughters of the American Revolution in Hiawassee, Georgia, a piece of history that has never made it to the history books was related. It was the account of Micajah Clark Dyer’s invention, construction and flight of an “Apparatus for Navigating the Air” long before anyone else succeeded in getting a guided craft airborne. Micajah Clark Dyer, a poor mountain farmer with limited formal education and access to only primitive tools, invented his flying machine in the Choestoe District of Union County, Georgia. The story of his invention was handed down orally to each generation of the family, and the first written account of it was by Dr. Watson B. Dyer in the Dyer Family History, privately published in 1967 and 1980. He reported interviews with people who were eye witnesses to several flights by Clark Dyer in his plane, as well as dozens of others who had been told the story by their parents and grandparents. 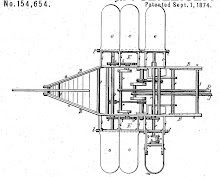 Clark Dyer secured a patent for his flying machine on September 1, 1874, but following his death in 1891, the patent and plane were reportedly sold by his widow to some Redwine brothers from Gainesville, Georgia. Later, the family’s attempts to locate the patent and plane proved futile. Finally, in 2004, Clark’s patent was discovered by one of the young descendents doing a Google search. Then, in the following year, two 1875 newspaper articles were discovered that reported the invention, the St. Louis Globe-Democrat on July 16, 1875, and The Eagle (Gainesville, Georgia) on July 31, 1875. While Clark still has not been included in history books, he has received some noteworthy recognition, namely, State Hwy. 180 was named the “Micajah Clark Dyer Parkway” in July 2006; “Micajah Clark Dyer Day in Union County” was proclaimed on September 1, 2006 (the 132nd anniversary of the granting of the patent); a first class U.S. postage stamp was printed October 28, 2006, showing Clark’s flying machine; he was nominated for induction into the Georgia Aviation Hall of Fame in October 2006; Union County Commissioner framed and hung a display of the U.S. stamp in the courthouse in January 2007. 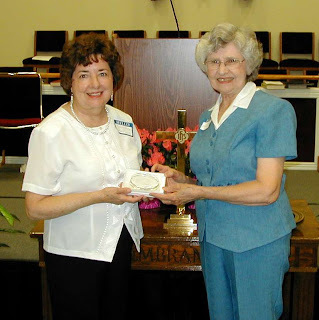 At the Annual Dyer-Souther Heritage Association Reunion held on July 14, 2007, at the Choestoe Baptist Church, Highway 180/Micajah Clark Dyer Parkway, Blairsville, Georgia, Historian Ethelene Dyer Jones was presented with a paperweight bearing the image of Clark Dyer’s “flying machine” in recognition of her many years of service as the historian, newsletter editor and organizer of the annual family reunion. Her dedication to preservation of family history is truly noteworthy. Ethelene, we salute your commitment and perseverance! 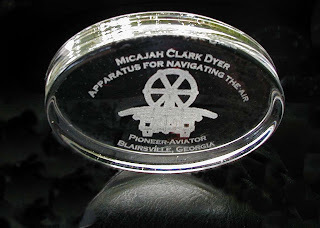 Micajah Clark Dyer’s invention of a flying machine in the Choestoe District of Union County in 1874, years before anyone else had succeeded in getting a guided craft airborne, is a point of pride within the Dyer family. The story of Dyer’s invention had been handed down orally to each generation of the family, and the first written account of it was by Dr. Watson B. Dyer in the Dyer Family History, privately published in 1967 and 1980. He reported interviews with people who were eye witnesses to several flights by him in his plane, as well as dozens of others who had been told the story by their parents and grandparents. The image of the plane on the paperweight is taken from the drawings in the patent issued for the machine on September 1, 1874. It wasn’t until 2004 that Clark’s patent was finally discovered by one of the young descendents doing a Google search. Then, in the following year, two 1875 newspaper articles were discovered that reported the invention, the St. Louis Globe-Democrat on July 16, 1875, and The Eagle (Gainesville, Georgia) on July 31, 1875. Clark invented many other gadgets during his lifetime (1822-1891), and the family legend is that there were one or more later models of his aircraft. But even if documentation cannot be found for any of his other inventions, the 1874 patent for his “Apparatus for Navigating the Air” gives Clark an honored place in aviation history. 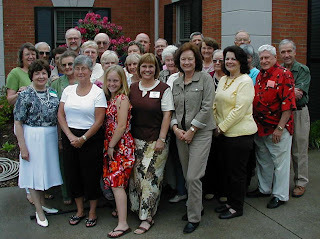 Pictured above: Friends of the NC State University’s Extension Service at 21st International Luncheon on May 16, 2007. 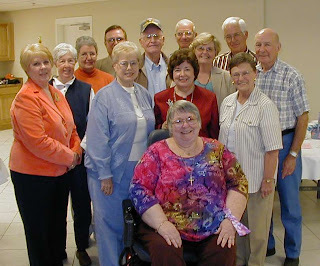 Upon invitation by the NC State University’s Extension Service Friends, Sylvia Dyer Turnage presented the story of Clark Dyer’s flying machine at their 21st International Luncheon on May 16, 2007, in Hayesville, NC. The group was very interested to learn about Micajah Clark Dyer’s invention of a flying machine in the Choestoe District of Union County way back in 1874, years before anyone else had succeeded in getting a guided craft airborne. 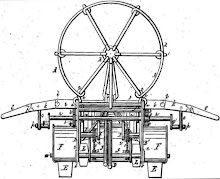 As the group viewed the patent issued for the machine on September 1, 1874, they found it amazing that Dyer had produced the ingenious drawings and specifications since he had only an eighth-grade education and had spent his life on a remote mountainous farm, with limited contacts outside the community. The story of Dyer’s invention had been handed down orally to each generation of the family, and the first written account of it was by Dr. Watson B. Dyer in the Dyer Family History, privately published in 1967 and 1980. Watson interviewed a couple of people who were eye witnesses to several flights by Clark Dyer in his plane, as well as dozens of others who had been told the story by their parents and grandparents. It wasn’t until 2004 that Clark’s patent was finally discovered by one of the young descendents doing a Google search. Then, in the following year two 1985 newspaper articles were discovered that reported the invention, the St. Louis Globe-Democrat on July 16, 1875, and The Eagle (Gainesville, Georgia) on July 31, 1875. 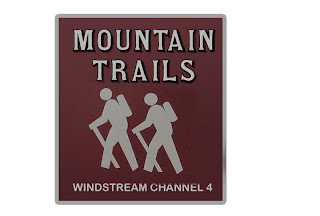 In mid-March, Windstream Channel 4 kicked off a new program titled “Mountain Trails” which is featuring history and places of interest in the Tri-State mountain area. The first episode of the program covered the entire story of Micajah Clark Dyer’s invention of a flying machine, from the oral legend to the subsequent discovery of his 1874 patent and the newspaper articles in 1875 reporting the invention. The program included an interview with State Representative Charles Jenkins, who introduced a resolution in the Georgia General Assembly last year to name a portion of Highway 180 the Micajah Clark Dyer Parkway. Show host, Cindy Williams, President of the Blairsville-Union Chamber of Commerce, opened the program standing near the sign on the Parkway. 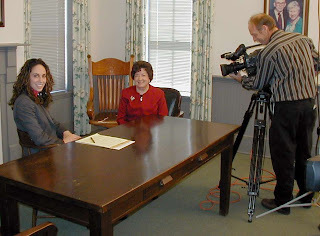 She said, “The impact that this man has had on the history of Union County is just beginning to be realized.” She proceeded to interview Clark Dyer’s great great granddaughter, Sylvia Dyer Turnage, who related the story that had been handed down orally for 130 years before the patent was discovered and detailed what has been done to provide recognition for the pioneer inventor over the past year. There is no question but that the program shined more light on a genius who, until recently, was unknown except to those who are descendents of the Dyer family and others who lived in the community where he invented a flying machine. The Autumn Leaves group at the House of Prayer Church in Blairsville, Georgia heard the amazing story of Micajah Clark Dyer, Georgia's Pioneer Aviator from Union County, who invented a flying machine which he patented in September 1874. They heard about the eyewitness stories of neighbors who saw him get his machine airborne as he slid down rails he built on Rattlesnake Mountain in the Choestoe District of Union County. They also viewed newspaper articles dated July 16, 1875, and July 31, 1875, telling about the invention. Many of them did not know about the recognitions Dyer has received recently from different sources, including the Governor's recognition, a ceremony naming of a section of Highway 180 running through Choestoe Community the “Micajah Clark Dyer Parkway,” the proclamation of a “Micajah Clark Dyer Day in Union County,” the hanging of a commemorative stamp display at the Union County Courthouse, his nomination to the Georgia Aviation Hall of Fame and a broadcast of the story on Mountain Trails by Windstream Channel 4. The group was interested in the progress being made toward further recognition of Clark Dyer for his early contributions to the development of aeronautics. Some very good suggestions were made about ways to get the information known throughout the county, state and nation. They felt that reconstruction of the machine, a museum to house it, and other projects would bring this interesting part of history to the public’s knowledge, give honor to Dyer, and produce benefits to the county and state. Pictured above: The field owned by Dyer where he flew his aircraft. The first of a series of programs called “Mountain Trails” and featuring the story of Georgia's pioneer aviator, Micajah Clark Dyer, will be shown on Windstream Channel 4 on the dates and at the times listed below. Mondays, March 19 and 26, 2007, at 8:30 p.m.
Tuesdays, March 20 and 27, 2007, at 9:00 p.m.
Thursdays, March 22 and 29, 2007, at 9:00 p.m.
Fridays, March 23 and 30, 2007, at 8:30 p.m.
Saturdays, March 24 and 31, 2007, 12:30 p.m. and 6:30 p.m. In addition to these showings, there will be four late shows—Mondays, March 19th and 26th, and Fridays, March 23rd and 30th, at 2:30 a.m.
Be sure to tune in for one or more of these programs and hear the story of a remarkable mountain man whose airplane design was patented in 1874. Mark Mote, Director and Editor of Windstream Channel 4, and Cindy Williams, President of Blairsville-Union County Chamber of Commerce, are beginning production of a series of programs on people, places and history of North Georgia. The first of these programs will feature the story of Union County’s pioneer aviator, Micajah Clark Dyer, whose airplane design was patented in 1874. 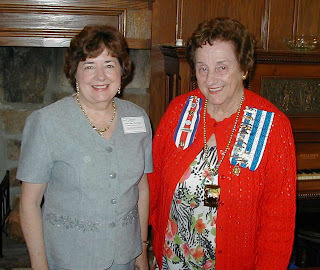 While Mark filmed on February 22, 2007, Cindy interviewed Sylvia Dyer Turnage, great-great granddaughter of Clark Dyer, who authored a book “The Legend of Clark Dyer’s Remarkable Flying Machine” and an article for the 400 Edition magazine, "Pioneer Aviator Waits 132 Years for Honor." Sylvia also has been interviewed for Clark Dyer articles published in the Gainesville Times, CNI Newspapers (Athens), Union Sentinel and Altitude magazine (Blue Ridge). She has made presentations on the topic to many church and civic groups in Union County and adjoining counties. Mark and Cindy will be interviewing other people as they continue with the production of the program on Clark Dyer, which they expect to air in mid-March, 2007. As soon as a date is set for the broadcast, details will be posted on this site. Be sure to check back here over the next few weeks so you won’t miss the date! Where is Windstream Channel 4 available? 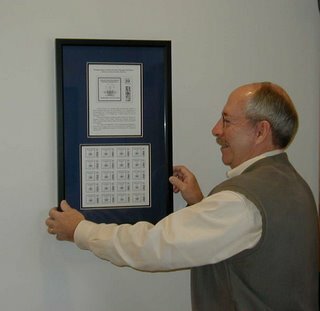 A sheet of U. S. Postage stamps featuring one of the drawings of Micajah Clark Dyer’s aircraft., taken from the patent he obtained from the U. S. Patent & Trademark Office on September 1, 1874, is now hanging in the Union County Courthouse. Dyer lived and farmed in the Choestoe District of Union County, where he built and flew his plane two decades before the Wright brothers’ famous flight at Kitty Hawk, N.C. in 1903. Stories of his flying machine were kept alive through Dyer family oral tradition until 2004, when Stephen Dyer, a teenager and descendent of Clark Dyer, found the patent on the Internet. According to tradition, both the patent and the aircraft were sold after Dyer’s death on Jan. 26, 1891 to some Redwine brothers of Atlanta or Gainesville who were interested in building a plane of their own. Discovery of the patent still on file with the Patent Office has resulted in Dyer receiving several other honors for his invention during the past year. House Resolution 413, unanimously passed by the Georgia General Assembly and signed by Governor Sonny Perdue on April 28, 2006, named Georgia Highway 180 from the Gainesville Highway to the Brasstown Bald Mountain Spur the “Micajah Clark Dyer Parkway.” Commissioner Paris signed a Proclamation on August 17, 2006, declaring September 1, 2006, “Micajah Clark Dyer Day in Union County.” Dyer has been nominated for induction into the Georgia Aviation Hall of Fame at Robbins Air Force Base, Warner Robbins, Georgia, and information about his invention is planned for inclusion in Georgia’s “100 Years of Aviation History” to be celebrated this year. The Morning Glory Circle at First United Methodist Church in Blairsville, Georgia was very excited and amazed to hear the story of Micajah Clark Dyer’s invention of a flying machine here in the Choestoe District of Union County way back in 1874, years before anyone else had succeeded in getting a controlled vessel airborne. 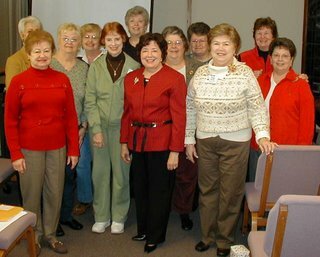 Sylvia Dyer Turnage, great-great granddaughter of Clark Dyer, was the guest speaker who related the story to them at their January 3, 2007, meeting. As the ladies looked at the patent issued for the machine on September 1, 1874, they expressed surprise at the ingenious drawings and specifications produced by Dyer, who had only an eighth-grade education and who spent his life on a remote mountainous farm, having only limited contacts with people outside the community. The story of Dyer’s invention had been handed down orally to each generation of the family, and the first written account of it was by Watson Dyer in the Dyer Family History, privately published in 1980. Watson interviewed a couple of people who were eye witnesses to several flights by Clark Dyer in his plane, as well as dozens of others who had been told the story by their parents and grandparents. It wasn’t until 2004 that Clark’s patent was finally discovered by one of the young descendents doing a Google search. Then, in the following year two 1875 newspaper articles were discovered that reported the invention, the St. Louis Globe-Democrat on July 16, 1875, and The Eagle (Gainesville, Georgia) on July 31, 1875.